Vulcan GMS can design and build many different types of shielding products and systems. We listen to your needs and we can work with you to design a solution that best fits your specifications. For these types of products, we can offer several materials including lead, tungsten, molybdenum, tin, bismuth, high-density plastics, stainless steel, brass, etc. We can also develop a shield using a hybrid (or alloy) of multiple materials to fit your functional and cosmetic needs. These are made from combinations of tungsten, lead and stainless steel in shields & shipping systems. In regards to shipping systems, Vulcan GMS can offer the pig alone or a fully certified shipping package meeting DOT Type A requirements. Please contact us today to find out how we can help you with your custom nuclear solution needs. Vulcan GMS can help with your requirements for shipping pigs and certified shipping systems. Vulcan has designed and certified many of our own packaging designs as well as specific customer owned pigs & systems. Vulcan will work with you to clearly understand all aspects of the pig and its uses which includes the use of the system at your site, your customer’s site and in transport. All aspects of the pig and systems use need to be considered to offer your customers the most functional shipping system and pig possible. When your customers receive a radioactive shipment the package and the pig are the first items seen and serve key functional aspects of how your material is handled with your customers. Contact us today to find out how we can help provide your best first impression with our custom shipping pigs. 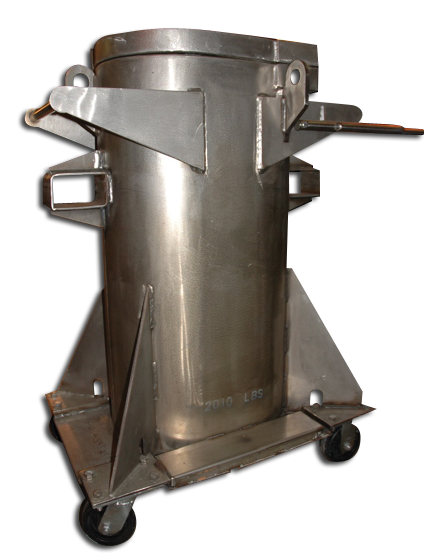 Nuclear transport casks from Vulcan GMS are customized to meet your exact specifications for radiation shielding. You can ensure that our transport casks provide the radiation protection and options that are needed to protect you and your workers. In addition being able to provide custom designed and manufactured nuclear casks Vulcan also offers lead pours. 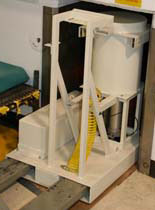 In some applications, our customers will fabricate the steel enclosures and need a source to provide a lead pour. Please view our pouring page for more details. Contact Vulcan GMS and our engineering staff to discuss your needs.